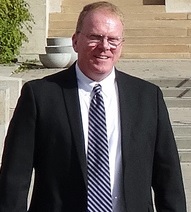 Does the University of Denver pay you a salary, Mr. Jeffrey Beall, or do you pay the University to let you bear the title of Assistant Professor? A title that you really do not deserve, as you have no Ph.D., no actual research work and do no teaching whatsoever. It is a shame for the University of Denver to have professors like you, Jeffrey Beall. Or is running a blog that slanders everyone and everything considered scientific research? It most certainly is not, Mr. Jeffrey Beall. Could it be, however, an applied money-making project for you and your university, Mr. Jeffrey Beall? (By the way, why should a small publishing house from some place in India, which cannot attract papers, nor editorial board members, from western universities, be in your black list Mr. Jeffrey Beall? In this case, you should also black list all non-US and non-European universities. Of course there exist first-rate universities, like Harvard, MIT, Berkeley, Cambridge. Should all other universities be in a black list? Is this your logic “Professor” Beall? Furthermore, you condemn any new publishing house, as it is natural for them to not have papers and not be indexed as soon as they launch, but has to deal with you, who, like a vulture, immediately includes them in your black list for those reasons.